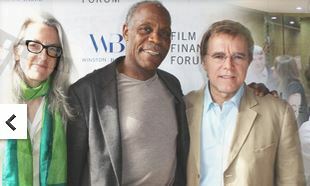 WINSTON | BAKER will host the 5th Annual International Film Finance Forum on May 16, 2014 at the Intercontinental Carlton Hotel in Cannes during the Cannes Film Festival. And you can attend with a reduction of 30% off the standard rate (see below) if you apply before May 2. UPDATE: you can still get a 10% reduction by applying before May 10! At the end of the forum a private reception will be held for for speakers, sponsors and registered attendees. Have the opportunity to network with friends and new contacts in the business in an intimate setting. And additional speakers to be announced shortly. The Cannes forum is designed for financiers, producers, finance and sales agents, film buyers, managers, lawyers and marketers from around the world looking to gain insight into the latest finance, distribution and risk mitigation strategies from industry leaders. The forum also offers opportunities for networking throughout the day. Space is limited and early registrants will be able to save 30%! UPDATE: REGISTER BEFORE MAY 10 using promo code WB10 to benefit from the Cannes or Bust reduction of 10%.